Aurelio Nota was born in the world of wine, and has always been working in it. 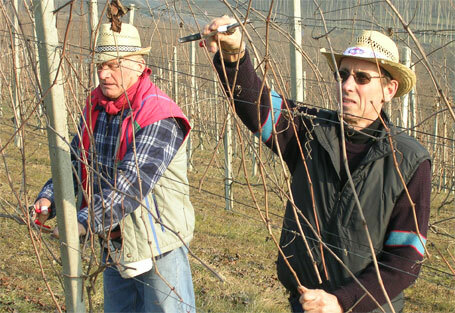 In 1974 he settled in Sinio d'Alba and started a small winery in "Mulino Nuovo". The land located between Langhe e Roero, belongs to his father in law Porro Giovanni that made wine since 1945. 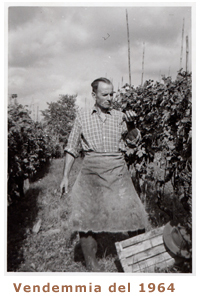 In 1978 he moved to Alba, where he decided to build the current winery. 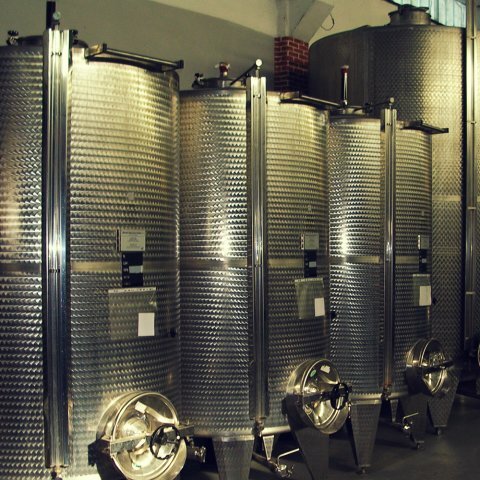 As the years went by, the winery grew and Mr. Nota replaced old cement tanks with new and modern ones made of steel, and getting autoclaves. Here you can see him in the cold days of January. Today son Cristiano, a wine technician, represents the continuity of a small family business that has developed a rare charm, hard to find in our modern society. And because for him wine is a tradition, but most of all is the expression of a deep feeling that bounds to the family land. 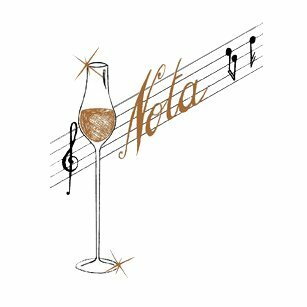 We cannot forget that wine is fantasy, art, music … and the musical note on stave is our symbol. outside we can appreciate some of the old cement vats, a wood barrel and a wood press. Inside you can take a glimpse over some old gears, that were used at the vineyard and some other that were used at the cellar. All this tools are still functionally and in elder times were used by the members of our family. 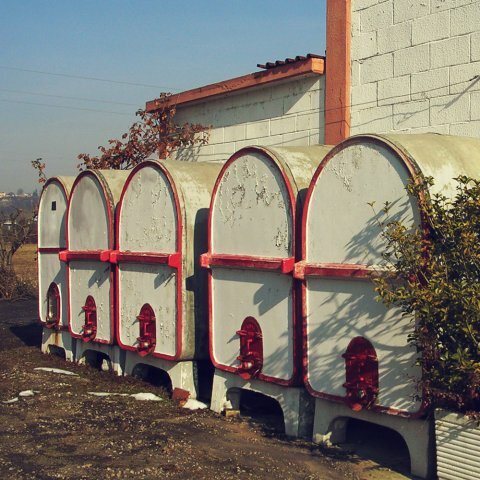 To take a special look are this iron barrels for the warehousing of our wines. When the past meets the present lets us to offer all the tradition of wine keeping the quality the market deserves. 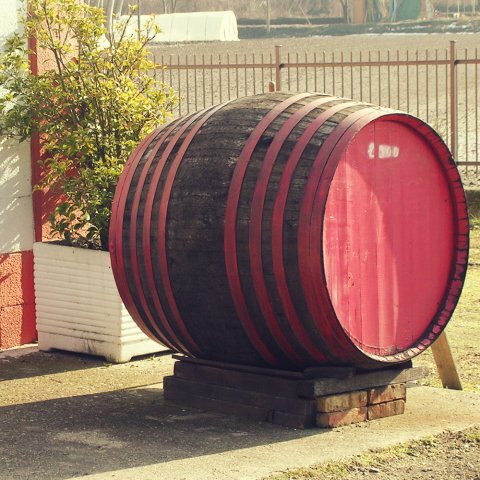 Come to visit our cellar, you can taste the wines directly from the barrels.